I’ve posted on pool running before, but I thought I would hit it again during the peak racing and training season for those of us in the northern hemisphere. It’s exactly what it sounds like, running in a swimming pool. 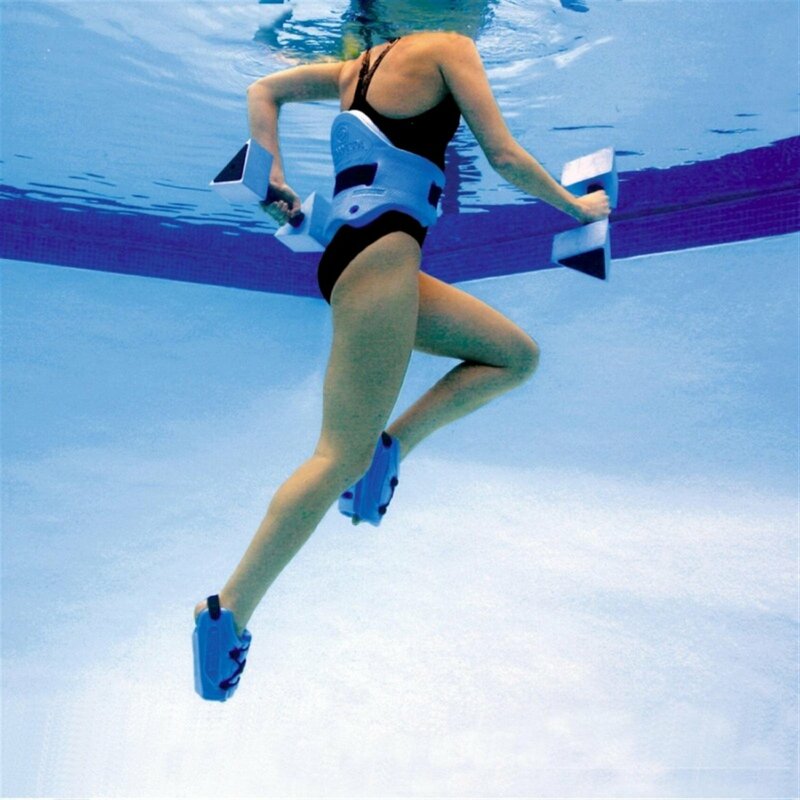 Many pools have a floatation belt you can use while you are there. They keep them around for their water aerobics classes. Clip the floatation belt around your waist and cinch it up as tight as you can. You don’t want it to slid up while you are running. Once you’re clipped in, get into the water. You need to be deep enough so your feet do not touch the bottom of the pool. Now start to run. You should not move very much despite how fast you move your arms and legs. If you are moving quiet quickly (really it is still slow compared to running), you are leaning forward too much. I run back and forth in one lane, my head bobbing just above the surface of the water. Pool running is pretty boring so take a friend, play some type of mental game, have a list of problems you want to think out, or get some water proof earbuds. Most pools are either 25 yards or 25 meters. You can’t run for a particular distance because you are moving so little, but you can run for time. In order to keep things interesting, do intervals or get a bungee cord or other elastic to pull against as you run. Race the swimmers, you will lose badly, but at least it’s something to do. If it is so insufferably boring why would anyone want to run in the pool? Pool running is the BEST way to give your body a rest from the impact of running while maintaining your running specific fitness. Now, with that, you can’t get into the pool and run leisurely. You need to break a sweat and that requires some hard work when you’re in the pool. Pool running is excellent if you have an injury like a stress fracture or twisted ankle. Anything that requires you to take time off because of the impact of running. It is also the perfect way to recover from a race. It gives your muscles a well deserved break. Running in the pool is great for injury prone runners because they can maintain fitness while preventing an injury. Typical training plan structure has runners taking what we call a rest/recovery week. So you build miles by 10% for three weeks and then reduce miles by 20% for a week to allow your body to heal those micro tears and become stronger. This reduces your risk of injury and overtraining. By running your rest/recovery week in the pool, you are adding another level of protection against injury while allowing your body to become stronger. Previous Article The perfect shoe?